SCOTT MORGAN AND THE HYDROMATICS: THE EARTH IS SHAKING FILM! 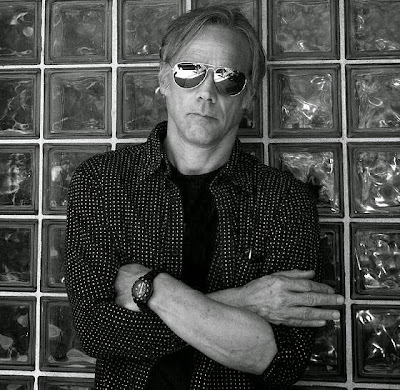 Scott Morgan, perhaps the most under-recognized legend of rock & soul ("One of the great American voices" -- David Fricke, Rolling Stone) leads the Hydromatics, a European-based band dedicated to revitalizing the songbook of Sonic's Rendezvous Band, the legendary band Morgan (ex-Rationals) co-founded with ex-MC5 guitarist Fred "Sonic" Smith (which also included ex-Stooges drummer Scott Asheton and ex-Up bassist Gary Rasmussen). 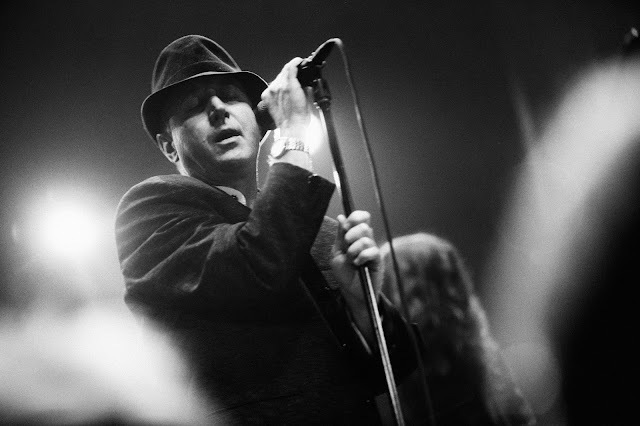 This tour was in support of the latest Hydromatics CD, "The Earth Is Shaking." The film is a warts-and-all realistic portrayal of the band, with tons of tomfoolery, but also informative, with Morgan talking about the breakup of SRB, turning down the offer to record at Stax Records with Booker T & the MGs, getting out of the military draft in the 60s; Tony Slug talking about the politics of playing in Basque country, on the band's beginnings and astute observations on the state of rock & roll; the French Hotel incident, and most poignantly, a memorial at Madrid Football Stadium for their former tour manager, Benito Gasolini, who died there with a colleague from a scaffolding accident while working for the Rolling Stones. 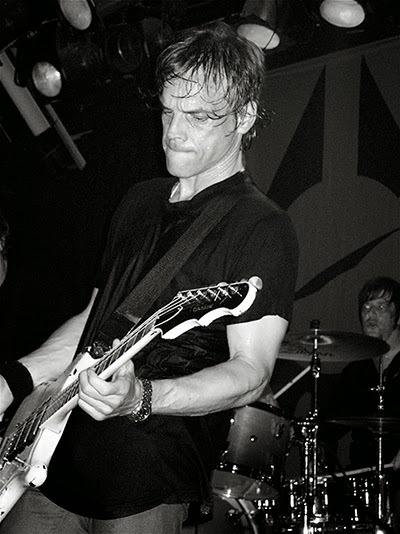 The Hydromatics were the brainchild of then-Hellacopters front man Nicke Andersson and Tony Slug, Amsterdam-based rock & roll guitar player extraordinaire. Andersson and Slug bonded over the fact they both knew, and were huge fans of, Sonic's Rendezvous Band (SRB). In its six years (1975-80), SRB had only released one song -- "City Slang" -- on a 45 single with mono and stereo versions. 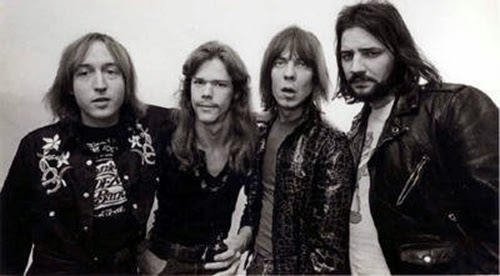 (No label in the age of disco dominance was interested in an uncompromising, classic Detroit/A2 high-energy rock band.) Other than the single, a bootleg LP, "Sweet Nothing," had limited circulation. Hardly anyone outside of Michigan knew of SRB, and Andersson and Slug made it their mission to bring the music to the world. 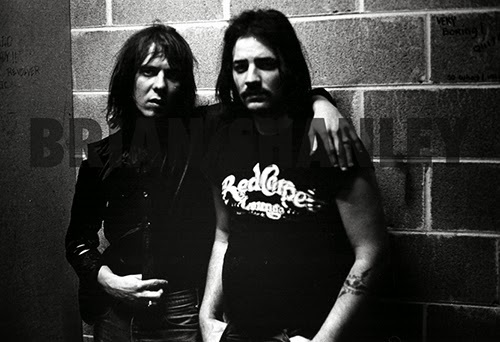 On a US Hellacopters tour Andersson met Scott Morgan and proposed working together. 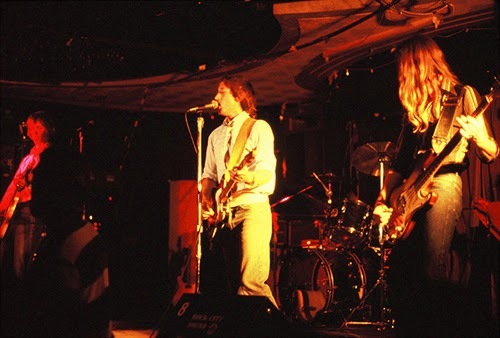 With the addition of Theo Brouwer on bass, the Hydromatics were born, with Andersson taking the drum chair, which he had to give up after one album and tour due to too many other commitments. 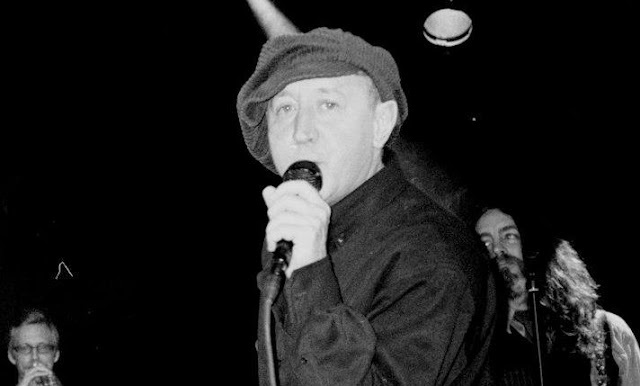 On this tour the drummer is newcomer Ries Doms, an excellent, explosive drummer equally influenced by Keith Moon and jazzer Han Bennink (among others). Theo Brouwer was unable to make the tour, so Paul Grace Smith, on very short notice, substituted superbly. Enjoy the film! Support the artists by buying their records, CDs, etc.! Filmed, edited, etc. by Joseph Chonto for Some Real Music. © 2018 Joseph Chonto, Some Real Music. What an amazing industrial amalgamation of killer musicians! MC5 guitarist Wayne Kramer, the legendary voice and guitar of Scott Morgan, and the ever evolving incredible Motor City-via-Australia Deniz Tek of Radio Birdman make up Dodge Main, with help from bassist Paul Ill and drummer Brock Avery. I transferred a VCR tape of this show for Dennis Thompson some years ago. The quality isn't perfect but it captures this historical night in Detroit! Here is a treat... Dodge Main cover of KICK OUT THE JAMS! So a few days a ago I was talking to Dennis Machinegun Thompson on the phone and he told me how great Dodge Main was. MGT told me what an incredible mix of players that composed Dodge Main. So we wrote to our very busy friend Deniz Tek and asked him to write his take on this moment in Detroit Rock and Roll History. I got a call from Patrick Boissel, who at the time had recently taken over Greg Shaw's BOMP and Total Energy labels. He suggested assembling a band to be based around me and Wayne Kramer for a studio recording. Wayne's rhythm section, Paul Ill and Brock Avery were included. 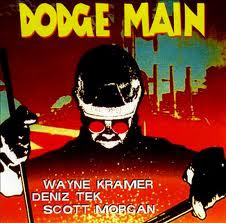 Wayne came up with the name "Dodge Main" after the monolithic abandoned Chrysler assembly plant in Hamtramck, Detroit. I flew out to LA, and was put up in a motel in Burbank. During the day, we recorded in a little studio in east Hollywood. In the morning before heading over to the studio, I wrote songs for the album, reworking lyrics and so forth. We did some older material from the MC5 and (Radio)Birdman, but also wrote some completely new tunes. It all took about a week. Scott Morgan was in town and joined for some vocals. Wayne produced the sessions, keeping a tight rein on things, and he later mixed the album. 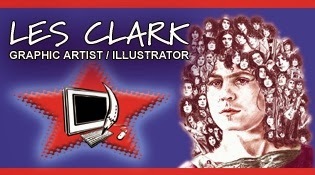 Mark Arminski did the brilliant cover artwork. I got paid a small token amount and had all my expenses covered. SCOTT MORGAN "FUTURE NOW" at the State Theater Greasy show! Later, Dodge Main assembled in Detroit for a benefit at the State Theatre for local guitarist Phil "Greasy" Carlisi who had to have cardiac surgery. On that occasion, Dennis Machinegun Thompson played drums, and we added some Rationals material to round out the set, including, I think, "Guitar Army" and "Respect". Thank you Dennis and Deniz!!!! I transferred a VCR tape of this show for Dennis Thompson about 3 years ago. The quality isn't perfect but it captures this historical night in Detroit! 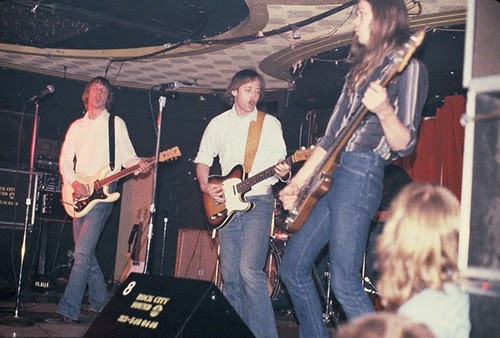 Rock Action,from the Stooges; Fred Smith, from the MC5; Scott Morgan, from the Rationals; Gary Rasmussen, from the Up. I knew all about them from the old days...what Michigan had been to rock and roll music six or seven years earlier, which I had thought was totally lost now. This would be worth checking out. Some of the old ﬁre might still be alive. The gig was at the "Roadhouse", a blue collar Michigan bar and restaurant about 10 miles north of town off US23 (Whitmore Lake). It was on for that night and the gig had already started. I knew these guys had all been great in the past, and could be great now. We got in my brother's green '72 Olds Cutlass "S", and he gunned the big block V8. We headed up snowy North Main St, over the river bridge leaving town, on to 23 and north a couple of exits, across North Territorial, off at the top of the hill, across old Whitmore Lake Rd. and pulled up in the parking lot. We went in. The place held about 40 or ﬁfty people, mostly sitting around at tables. There was a small empty dance ﬂoor and dim lighting. The band was playing. Immediately, it held a great fascination for me. They were better than I had hoped. As players, they were technically solid. As a unit, they had fused into something magical. 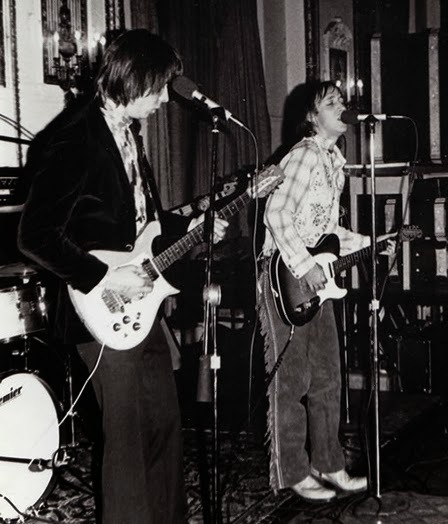 There was Fred, playing his 12 string Rick (strung with six), through an old Fender Twin through a Marshall 4x12 cab. Set against and within the bedrock rhythm background of the band, his solos were the most ﬂuid and original I had heard since Hendrix. His playing had progressed beyond his time in the MC5. In those days he had already started work on transcribing legendary jazz sax solos to guitar, and adapting them to rock music. He had come much closer now to perfecting this idea...starting with Coltrane, Shepp and Lester Bowie but ending up with something entirely of his own. Scott Morgan with his old Telecaster, was the perfect sixties rhythm and blues foil to Freds' experimentalist approach. Morgan had the great white R&B shout, as good but more subtle than Mitch Ryder. He could hit all the notes, with incredible timing and sense of cool. For my money, the three greatest white R&B singers were all from the Detroit area: Rob Tyner, Mitch, and Scott Morgan. Fred had an element of Bob Dylan in his voice as well. 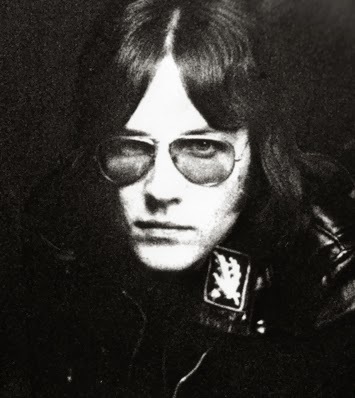 Scotty "Rock Action" Asheton had his simple Ludwig kit, beating it and the locality to submission, shaking the building with sheer brute force, but with split-atom accuracy. Every member was totally focused and were simultaneously deep in the moment while lost in nothingness. They had achieved "loose tightness"...a term Ron Asheton used to describe the impossibly elusive balance of freedom and spontaneity yet being in the pocket. I could feel it instinctively....I abandoned myself to the sound and the look of it. I danced. I laughed. I absorbed every beat of it. During a break between sets I talked to them a little. Fred was very polite and reserved, preferring to just sit there, bourbon and cigarette in hand, observing, thinking, but saying only an occasional word or two here and there. 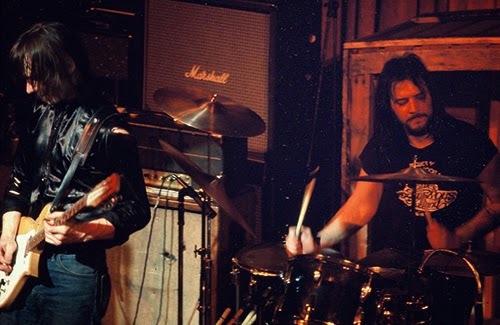 Scott Asheton was Rock Action. The world famous tattoo was there. His persona initially seems intimidating. I found out later this fearsome initial impression shields a rather shy spirit with a quiet, intelligent sense of humor. Gary Rasmussen sat casually smoking, was friendly and seemed to ﬁnd everything amusing. Morgan was the most approachable and happy to hold a conversation. I left them to their break after a few minutes and went to the bar to get a drink. 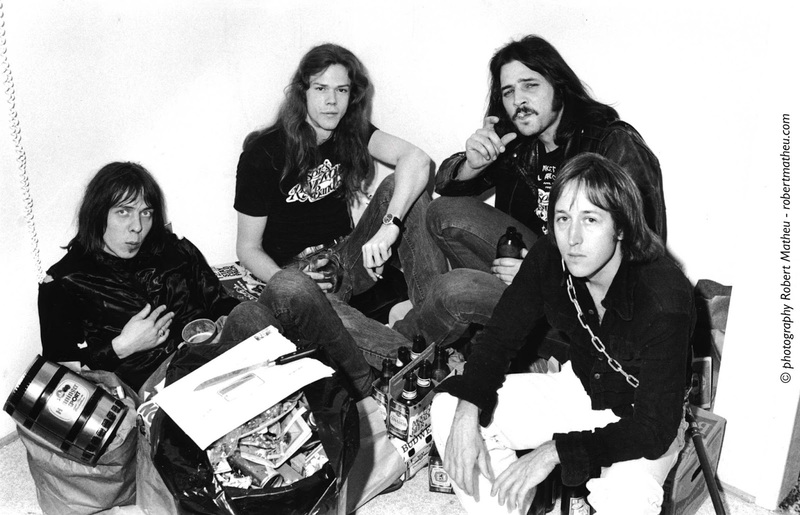 Coming back to ﬁnd my brother, I recognized Ron Asheton at a table by himself, a Seagrams Seven and soda in front of him, smoking a Lucky through an aquaﬁlter cigarette holder. Like something in a movie rather than real. He had on those trademark aviator glasses, and sported a full length black leather SS ofﬁcers greatcoat. 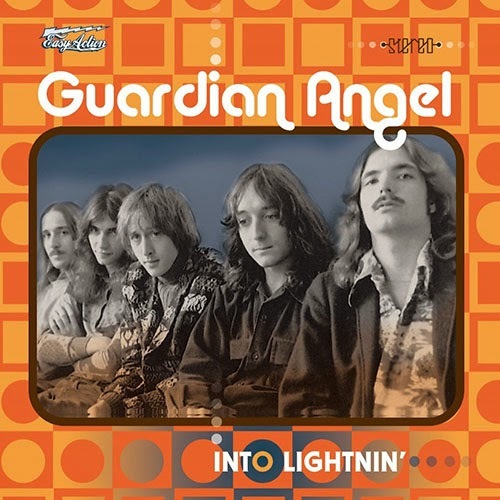 SCOTT MORGAN AND GUARDIAN ANGEL ON THE LOOSE JAN 2014!